Tattersalls Ireland are delighted to announce their sponsorship of the Owners Lounge for the upcoming Winter Festival and the 2019 racing season. The dedicated Owners Lounge at Fairyhouse Racecourse offers a fully equipped dining experience whilst overlooking the parade ring. Welcoming today's announcement Fairyhouse Racecourse General Manager, Peter Roe said: "We are delighted to have our neighbours Tattersalls Ireland on board as sponsors of our dedicated Owners Lounge. 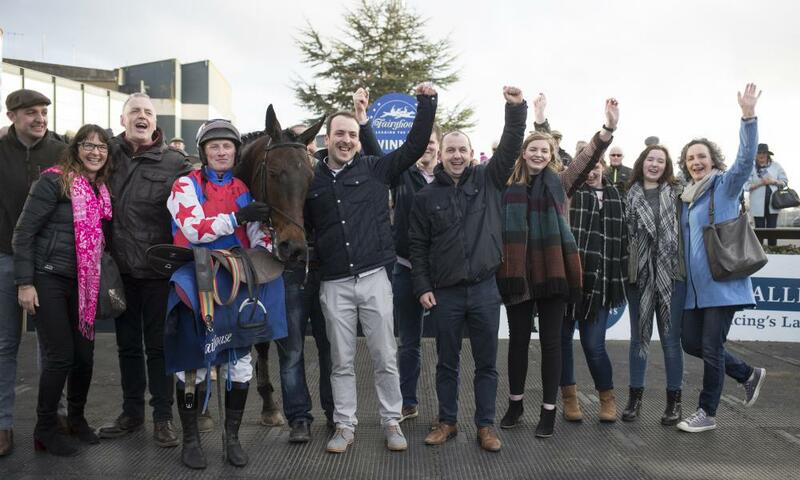 We have a great relationship with Tattersalls Ireland and this further cements our joint commitment to acknowledging the major contribution of owners to our sport." Matt Mitchell, CEO Tattersalls Ireland, added "We are very pleased to continue our association with Fairyhouse Racecourse through sponsorship of the Owners Lounge and the team at Fairyhouse go to great lengths to ensure that owners have a memorable day's racing. We have a longstanding relationship with Fairyhouse Racecourse, with the €100,000 Tattersalls Ireland George Mernagh Memorial Sales Bumper having being held here during the Easter Festival for the last eight years and this new sponsorship provides us with the opportunity to develop this relationship and along with Fairyhouse, ensuring owners are given the best racing experience possible." Fairyhouse Winter Festival takes place next weekend, Saturday 1 and Sunday 2 December.